Hand beaded green iridescent necklace is entirely handmade. This necklace has green beads along with beautiful iridescent beads including bronze and black. 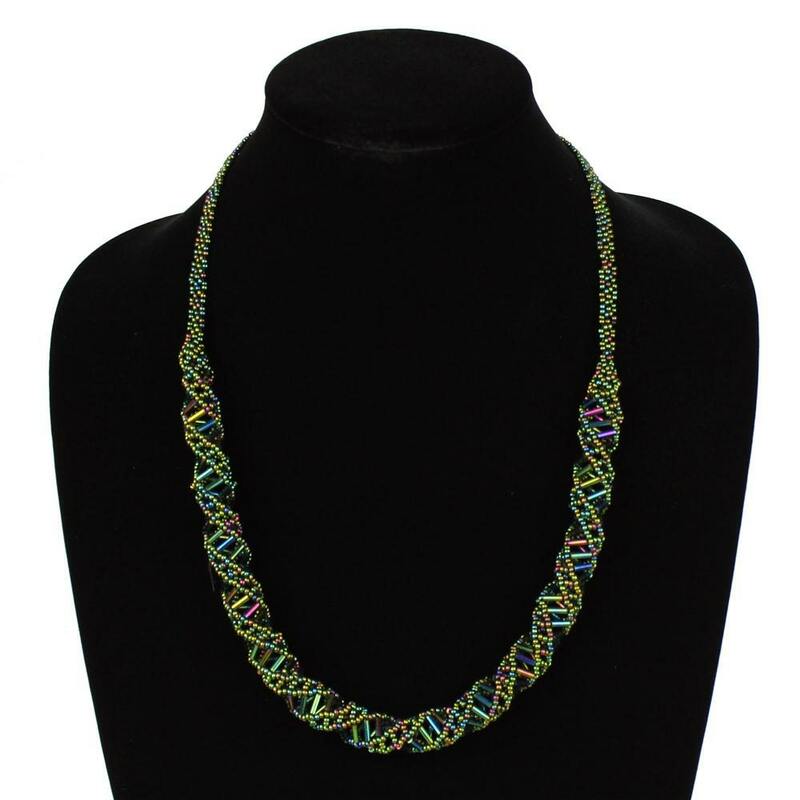 It is shaped exactly as a DNA with a beautifully beaded double helix shape and has a magnetic clasp. No fuss since no loop closures. This necklace is extremely light weight! You will love using it for many years to come. This arrived promptly! It is just as described. Simply beautiful, lightweight, with a magnet clasp. Perfect for my elderly Mom. Thank you!